Today is the day the United States turned over the Libyan no-fly-zone mission to NATO. This idea sounds absurd to me because the U.S is the backbone of the North Atlantic Treaty Organization. Former U.N. Ambassador John Bolton said, this week, handing over command and control from the U.S. to NATO was “like handing over from the right hand to the left hand.” What is most upsetting about the Libyan war is there is no clear plan or stated goals by the President. During his speech, it was almost as if the President was saying he didn’t have a plan, but he didn’t have to because now the international community is taking over. Also, in his speech this week, he took great pains to tell how it took only “31 days” to build an international coalition to attack Libya. Why wasn’t this issue debated on the floor of Congress? After all, “We the people”are paying for this mess at a rate of $100 million a day. Gaddafi may not survive, but what kind of government will take his place if he is booted out? It has been widely reported that Al-Qaeda is supporting the rebels. I thought we were fighting a “war on terror” against them? The war on Libya now being waged by the US, Britain and France must surely rank as one of the stupidest martial enterprises, smaller in scale to be sure, since Napoleon took it into his head to invade Russia in 1812. Let’s start with the fierce hand-to-hand combat between members of the coalition, arguing about the basic aims of the operation. How does “take all necessary measures” square with the ban on any “foreign occupation force of any form on any part of Libyan territory.” Can the coalition kill Qaddafi , and recognize a provisional government in Benghazi? Who exactly are the revolutionaries and national liberators in eastern Libya? In the United States the intervention was instigated by liberal interventionists: notably three women, starting with Samantha Power, who runs the Office of Multilateral Affairs and Human Rights in Obama’s National Security Council. She’s an Irish American, 41 years old, who made her name back in the Bush years with her book A Problem from Hell, a study of the U.S. foreign-policy response to genocide, and the failure of the Clinton administration to react forcefully to the Rwandan massacres. She had to resign from her advisory position on the Obama campaign in April of 2008, after calling Hillary Clinton a “monster” in an interview with the Scotsman, but was restored to good grace after Obama’s election, and the monster in her sights is now Qaddafi. America’s UN ambassador is Susan Rice, the first African American woman to be named to that post. She’s long been an ardent interventionist. In 1996, as part of the Clinton administration, she supported the multinational force that invaded Zaire from Rwanda in 1996 and overthrew dictator Mobutu Sese Seko, saying privately that “Anything’s better than Mobutu.” But on February 23 she came under fierce attack in the Huffington Post at the hands of Richard Grenell, who’d served on the US delegation to the UN in the Bush years. Grenell dwelt harshly on instances where in his judgement Rice and her ultimate boss Obama were drooping the ball, and displaying lack of leadership amid the tumults engulfing the middle east and specifically in failing to support the uprising against Qaddafi. Both Rice and Clinton took Grenell’s salvo to heart. Prodded by the fiery Power they abruptly stiffened their postures and Clinton lobbed her furious salvoes at Qaddafi, “the mad dog”. For Clinton it was a precise re-run of her efforts to portray Obama as a peace wimp back in 2008, liable to snooze all too peacefully when the red phone rang at 3am. For his part, Obama wasn’t keen on intervention, seeing it as a costly swamp, yet another war and one opposed by Defense Secretary Gates and the Joint Chiefs of Staff. But by now the liberal interventions and the neo-cons were in full cry and Obama, perennially fearful of being outflanked, succumbed, hastening to one of the least convincing statement of war aims in the nation’s history. He’s already earned a threat of impeachment from leftist congressman Dennis Kucinich for arrogating war-making powers constitutionally reserved for the US Congress, though it has to be said that protest from the left has been pretty feeble. As always, many on the left yearn for an intervention they can finally support and many of them have been murmuring ecstatically, “This is the one.” Of course the sensible position (mine) simply states that nothing good ever came out of a Western intervention by the major powers, whether humanitarian in proclaimed purpose or not. So much for the instigators of intervention in the US. In France the intellectual author is the intellectual dandy and “new philosopher” Bernard-Henri Lévy, familiarly known to his admirers and detractors as BHL. As described by Larry Portis in our current CounterPunch newsletter, BHL arrived in Benghazi on March 3. “Two days later BHL was interviewed on various television networks. He appeared before the camera in his habitual uniform – immaculate white shirt with upturned collar, black suit coat, and disheveled hair. “His message was urgent but reassuring. 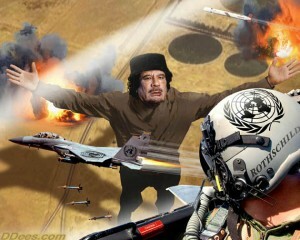 “No,” he said, Qaddafi is not capable of launching an offensive against the opposition. He does not have the means to do so. However, he does have planes. This is the real danger.” BHL called for the scrambling of radio communications, the destruction of landing strips in all regions of Libya, and the bombardment of Qaddafi’s personal bunker. In brief, this would be a humanitarian intervention, the modalities of which he did not specify. So much for the circumstances in which intervention was conceived. It has nothing to do with oil; everything to do with ego and political self protection. But to whom exactly are the interveners lending succor? There’s been great vagueness here, beyond enthusiastic references to the romantic revolutionaries of Benghazi, and much ridicule for Qaddafi’s identification of his opponents in eastern Libya as Al Qaida. In fact two documents strongly back Qaddafi on this issue. The first is a secret cable to the State Department from the US embassy in Tripoli in 2008, part of the Wikileaks trove, entitled “Extremism in Eastern Libya”which revealed that this area is rife with anti-American, pro-jihad sentiment. The second document or rather set of documents are the so-called Sinjar Records, captured Al Qaeda documents that fell into American hands in 2007. They were duly analyzed by the Combating Terrorism Center at the U.S. Military Academy at West Point. Al-Qaeda is a bureaucratic outfit and the Records contain precise details on personnel, including those who came to Iraq to fight and when called for, to commit suicide , fighting American and Coalition forces. The West Point analysts’ statistical study of the al-Qaeda personnel records concludes that one country provided “far more” foreign fighters in per capita terms than any other: namely, Libya. The records show that the “vast majority of Libyan fighters that included their hometown in the Sinjar Records resided in the country’s Northeast.” Benghazi provided many volunteers. So did Darnah, a town about 200 kms east of Benghazi, in which an Islamic emirate was declared when the rebellion against Qaddafi started. New York Times reporter Anthony Shadid even spoke with Abdul-Hakim al-Hasadi who promulgated the Islamic emirate. Al-Hasadi “praises Osama bin Laden’s ‘good points,’” Shadid reported, though he prudently denounced the 9/11 attacks on the United States. Other sources have said that this keen admirer of Osama would be most influential in the formation of any provisional government. As I wrote here a few weeks ago, “It sure looks like Osama is winning the Great War on Terror.” But I did not dream then that he would have a coalition of the US, Great Britain and France bleeding themselves dry to assist him in this enterprise. Click here if you want to go to counterpunch.org. Great article. We have already spent a billion. Who is paying for this? Without the US, what kind of force do you think NATO can field? Not much. The US Military and the US Tax payer do the heavy lifting. Did we learn anything for supplying weapons to the Pakistanis and Afghanis during the Russia’s version of Vietnam in Afghanistan? And to add insult to injury, France and China get most of the Libyan oil. So are we stupid or what. IF we wanted to take a stand we should have fired those 200 cruise missiles and destroyed his aircraft and runways when this started before they turned them against the people and while the rebels had the upper hand. That is if we thought they really were the good guys. Unfortunately, we don’t know, as your guest writer points out. . Did we not learn anything for supplying weapons to the Pakistanis and Afghanis during the Russia’s version of Vietnam in Afghanistan? You know the ones the Taliban are killing our boys with? Why is the US Taxpayer paying for the Chinese and French to have oil? Don’t they have armies? Are at least pay us. Are we trying to pay some of our debt to China this way? The West is critically sick with strategic cognitive dissonance. There may well be a goal and a plan. May I suggest a review of the situation by Dr. Tarpley, that adds substance to the previous claim? Before reading the piece linked below, I had been confused about the whole Mid-Eastern commotion, but it kinda makes sense now. This line in this post on the link you sent makes me feel this article is biased. The line is “Turkey was further goaded into more independent contact when its attempted humanitarian aid delivery to the besieged Gaza Strip was violently attacked by the Israelis and diverted away from its destination.” The Israelis boarded with paint guns as the main weapon the commandos intended to use. The commandos were attacked with knives and pipes. One soldier was dropped from a top deck on to a lower deck. Yes there was violence but it would have been avoided if the people on-board would have reacted peacefully. I’ll post your comment and the link but folks should take this with a grain of salt. Thank you for your comment. Yes, Israeli commandos intended to use only paint guns but used their side arms when attacked. Here’s one of many stories reported this. I know it sounds strange but it is true. Follow the link. It is a fact the Israelis had paintball guns. Sorry you don’t like the facts. What percentage of the poulation in France is Islamic? Did this influence Sarkozy? This is the country the Alloytolah Khomenei spent his exille time before moving to IRAN. Oh yes , I just can not wait till I hear the exchange of politics on who got who into what war in the next election. It’s not about the people. It’s about the oil. Lord, is it ever going to stop. I am against the action (war) in Lybia. Because where does the US go from there? Syria, Bahrain & Yemen are shooting civilians and you can bet we won’t go there; were afraid of upsetting the radicals in Syria and Bahrain & Yemen are supporting the US. Further, the President stated many times during his run for the office that he would not put our troops in harms way without consulting congress. He consulted NATO, France, England, & the Arab League, but not congress. His speech did not claify the end game either. I would like to hear a clear statement as to what our global stragity is towards the middle east in light of present circumstances from the White House – such as, do we just look away from Syria when it fires on its citizens or would we use force to stop those attacks as well if they continue. It is clear our state department does not have an understanding of who the rebels in Lybia are. It could be that we will be trading one punk hood for another. The article did point out that the passive left likes this war, go figure that one. The great american left and their supporting Main Street Media packed their bags and “left” all debate when Obama won the election. Without a left side argument I wonder what “actions” are next in store for us. Certainly, Egypt, Tunisa, Lybia, & Japan have stopped & side lined any debate over fiscal policy since the new year. It could be that in order to continue down the current economic road to destruction more “wag the dogs” need to happen; and, I’m sure we will get them. First I want thank you for your fight to inform people about what is really going on in our country. Personally I’ve been against all of the conflicts our country has been engaged in for the last 10 years. It seems it has all been part of a controlled demolition of not only our currency, but of our way of life as we have known it. I have planned for what I’m sure is coming and hopefully I can help others through the times to come. I would like to link an article I read today from a man who has been in law enforcement for 18 years. It’s an eye opener about the dramatic shift in training they are receiving. Thank you Mars for the link, comment and support. If anyone takes a hard look at Obama’s administration, they will find he really does not have plans for much of anything. Healthcare reimbursement reform was his big initiative and even this was put together by congress, with little input from Obama until close to te end. Now we see the lack of leadership in foreign policy, resulting in many different voices from his administration providing many different positions. Hopefully this will be recognized by most Americans before the elections in 2012. It’s not like I watch teevee news anymore, but do we have any money lef tover to send help to Japan or only to kill people indiscriminately? I’ve never understood why when we decide to get rid of a ‘dictator’ it involves bombing an entire country rather than a cheap million dollar payoff and a paid assassin. John Bolton got us into the Iraq war with his endless lies. Not a credible source to quote. 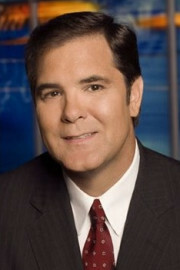 Greg you now sound like you are now plugging for a spot on Fox w/ Bolton. You know Fox always need followers to repeat their mantras…any journalists who disagree with them are labeled “lamestream media”. Bolton was a former U.N Ambassador. He is a good source. I am sure when I quote Hilliary Clinton long after she leaves her Secretary of State post, right wing Republicans will paint me a liberal. You made your point the first time, now you are attacking me. What gives? Im sorry for the bluntness or perceived attack, I apologize Greg. Bolton is a “paid” political just a shill just the same. Bolton wrote a speech claiming that Cuba has an offensive biological-weapons program and is providing bio-weapons assistance to rogue regimes. The chief bio-weapons analyst in the State Department’s bureau of intelligence and research challenged this view, as did the CIA’s national intelligence officer for Latin America. As a result, Bolton tried (unsuccessfully) to get both analysts reassigned. Bolton was duly reprimanded. I just wanted to point out, that the article you wrote just sounded a lot like what’s going on in my Country(Netherlands). Big failure on a rescue mission, they knew we we’re coming so they got arrested. Minister of Defence has no clue what’s he doing, the people who had to be rescued could just escape through a normal flight a couple hours later. All one big failure, no one knows who is in charge and what they are planning to do. They acted before they thought. Bolton is so emotional and partisan that I can’t take him seriously. I like people who are more factual. I do agree with other parts of the article especially about Samantha Power whose knowledge of Africa I have found to be naive and scant. Thanks for the link and commnet. Another “on the money” article from Alex! I swear this administration’s thinking is:”Today is bad,Lets make tomorrow worse”! Our day is just beginning here in Cleveland…..just think what lies in wake come tomorrow morning,heh? Libya, Afghanistan, Pakistan, and even Iraq all smell of sweet crude oil and there is no rationale to any other motive or position. There is never a clear message to any of these wars and it doesn’t matter anyway as they push deadlines to fit their own motivations. No amount of logic will help explain this. Look, we have left Haiti to sink into the ocean because there is apparently nothing the US wants or needs from Haiti.. Having been there might make me biased but no population or entire nation is dispensable. If America continues to sleep through these obvious signs of government corruption, we are truly doomed for worse. Don’t even get me started on the role of the 3 women who put on their jock straps, picked up their rifles, and said, let’s invade ’em. Oh the irony…the dopes back in Congress are going to cut the budget by what?? ?….somewhere between 33 and 61 Billion?? ?….meanwhile, by the time this Libyan fiasco is over we will have spent many times that amount, all the while the “war” or “kinetic action” was done without the Consent of Congress. Thank you Mountainaires for the infor and link. Bolton played the main role in encouraging the inclusion of statement that British Intelligence had determined Iraq attempted to procure yellowcake uranium from Niger in Bush’s 2003 State of the Union Address. Bolton’s evidence was to be partly based on documents later found to be forged. This is his quote to the UN and Nato selling the Iraq war to the world and americans here at home. “We estimate that once Iraq acquires fissile material – whether from a foreign source or by securing the materials to build an indigenous fissile material capability – it could fabricate a nuclear weapon within one year”. If you trust this guy on foreign policy please send him a huge THANK YOU for the ONE TRILLION PLUS…we have spent on the wonderful engagement WE CALL OUR IRAQ “WAR”. All good points, but I used Bolton as a source for the U.S. control of NATO. The U.S is clearly the leader of NATO in terms of leadership and resources, Bolton merely backed up that assertion. I guess you are for the Libyan war? Thanks for the comment. 1. War always constitutes a wealth transfer from the tax-paying public to defense contractors. All those cruise missiles need to be replaced. Once the Libyan government falls, all those surface to air missiles and radars and command and control will have to be replaced. Someone will get fat, “no-bid” contracts. 2. This is a test run to see how well NATO forces can co-ordinate to carry out joint military missions in the Middle East. The French, especially, have never actually used naval aviation in combat, and the De Gaulle carrier with it’s Rafael fighters is getting a nice shake-down cruise. In case there ever is military action required to keep the Persian Gulf open, we are over-burdened and may need our junior partners to help out. Note especially all the MSM talk from US Defense officials about our “special capabilities” that our allies need. I think we are testing to see if we can keep the technology secret from our allies and give them just enough to get the job done without sharing how we do it. 3. This is a huge distraction from the trouble in Bahrain and how the Saudi’s have annexed the country as part of their desire to put down their own domestic troubles. There is a real conflict underway between the Sunni Saudi’s and the Shiite Iranians. So let’s LOOK like we are on the side of the brave “freedom fighters” in Libya and ignore how we are supporting a brutally repressive regime in Bahrain and the medieval dictatorship in Saudi Arabia. Thank you for your analysis on Libya.